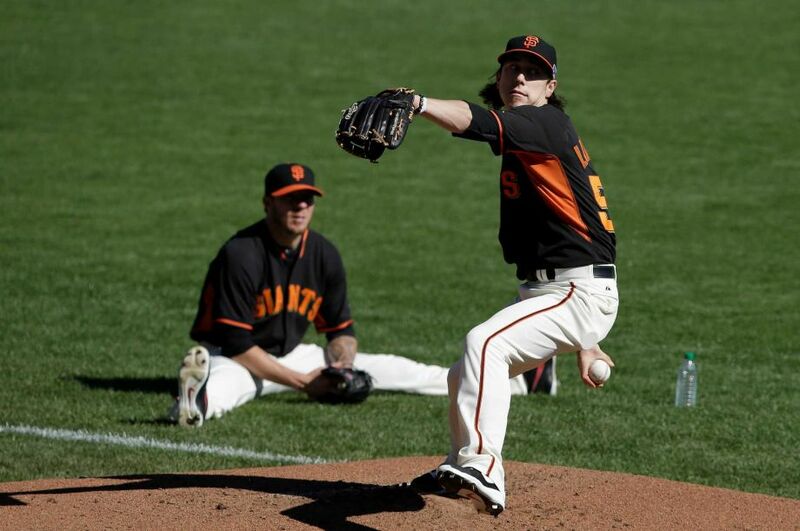 The hardworking staff has long been a fan of San Francisco Giants twirler Tim Lincecum (see here). And although we’re just now starting to pay serious attention to baseball’s postseason, we’ve had half an eye out for Lincecum up to now, and seen a whole lot of nothing. So, as is our wont, we investigated a bit. And here’s what we we found (via SFGate). ST. LOUIS — Sports can be so humbling. One instant, you’re the most important player on a team. And then, suddenly, you’re not. How athletes handle that fall in status is one of the fascinating things to watch in sports. Their humbling happens publicly, in the spotlight’s unforgiving glare. Some pout. Rage against the fates. Blame managers, media, teammates. And others handle their demotion with grace. Sometimes the toughest moments reveal the strongest character. We’ve seen it in the Bay Area. Alex Smith handled the loss of his starting job with the 49ers with more poise than most of us could imagine mustering. In 2010, Barry Zito was left off the postseason roster, worked tirelessly to be ready in case he was needed, and was redeemed in 2012. This year, it’s Tim Lincecum’s turn. In five postseason games, he hasn’t been used. One of the most popular Giants in history, one who personified the team’s championship run, has become an afterthought. Here’s hoping Timmy gets to smoke some batters again – when it counts – before this is all over. This entry was posted in Uncategorized and tagged Alex Smith, Barry Zito, Let Timmy Smoke, NLCS, San Francisco Giants, SFGate, St. Louis Cardinals, Tim Lincecum. Bookmark the permalink.